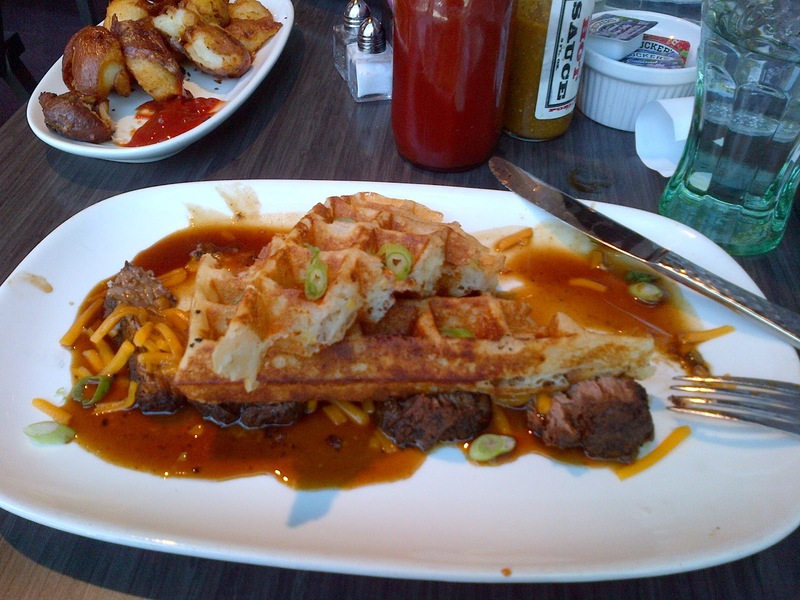 So, I’m finally in the South Loop about to check out Waffles, one of Chicago’s newer brunch spot! 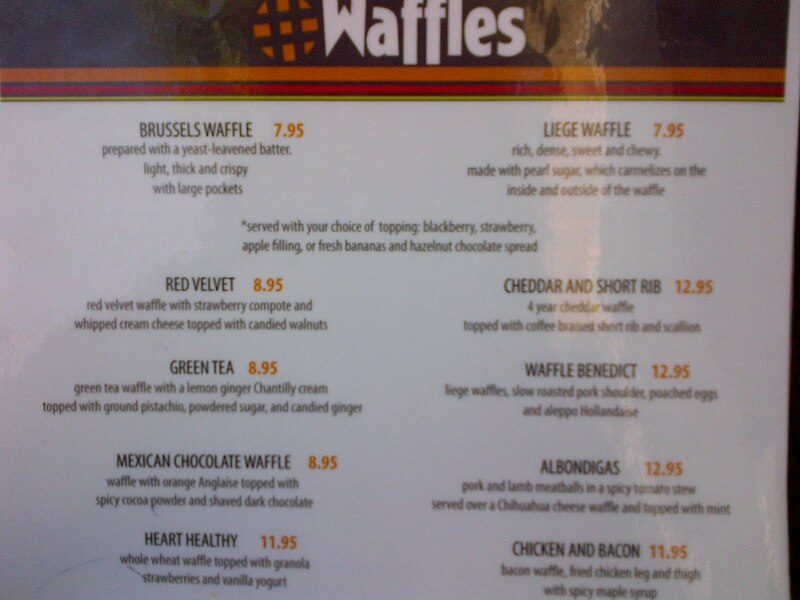 The menu looks amazing and I had to post a pic of the waffle selection… They also offer a hot chocolate flight as part of the Groupon deal I snatched up weeks ago. Hmmmm… Decisions, decisions!!! 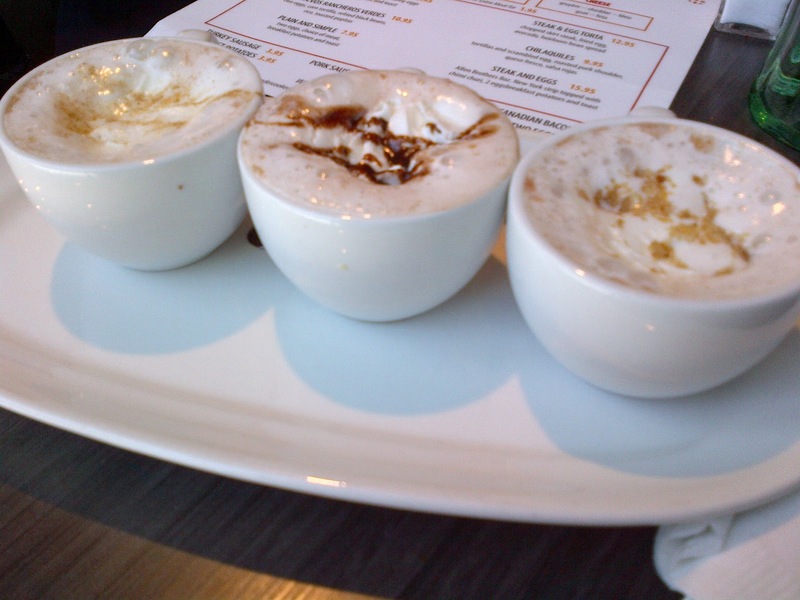 *edited* I ordered the Hot Chocolate flight with the Cheddar and Short Rib Waffle… SOOOOO GOOOD!